Visitors will have a possibility to access fully automated SEO friendly landing pages based on brand, manufacturer, artists, any other attribute or, even, combination of several attributes. Creation of landing pages for all attribute options is done with few clicks! Once created, all option pages (read: brand landing pages) appear in frontend. Immediately! An attribute page (e.g. 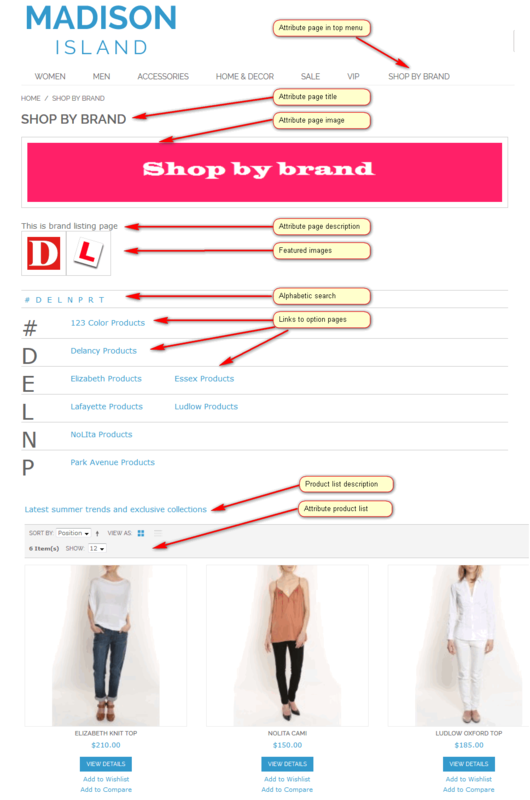 Shop By Brand) is also created allowing fast search for specific brand. Links to attribute and option pages appear in top menu (may require customization for custom themes). Attribute and option pages create user friendly and SEO friendly breadcrumbs. Everything important for search engines is autogenerated and easily editable: headings, descriptions, page title, meta keywords, meta description. Option pages (read: brand landing pages) shows list of all products. It is easy to set smart default settings for all option pages and only customize specific option page if necessary. You can further customize global attribute and option page settings for each store. Attribute Page is a landing page, which can be built based on attribute like Brand, Manufacturer, Artist or, even, combination of several attributes. 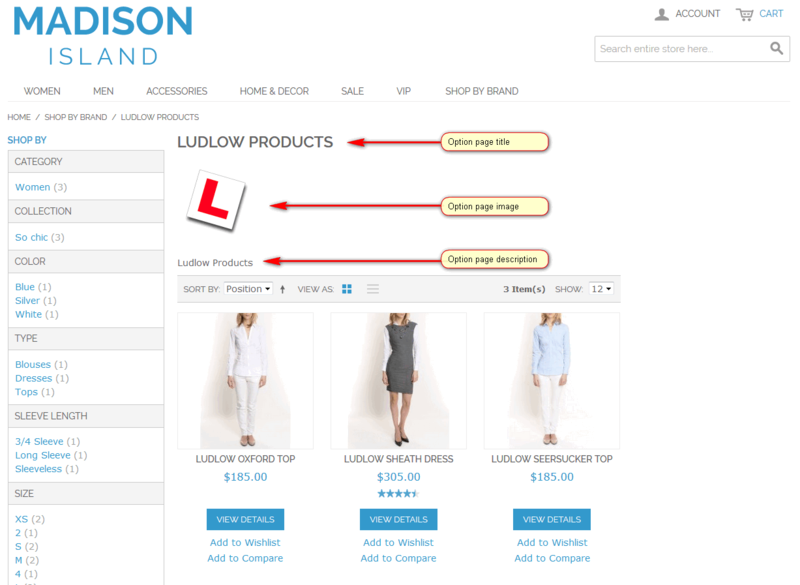 Option page contains product list, which is automatically updated when specific option is selected for a product.